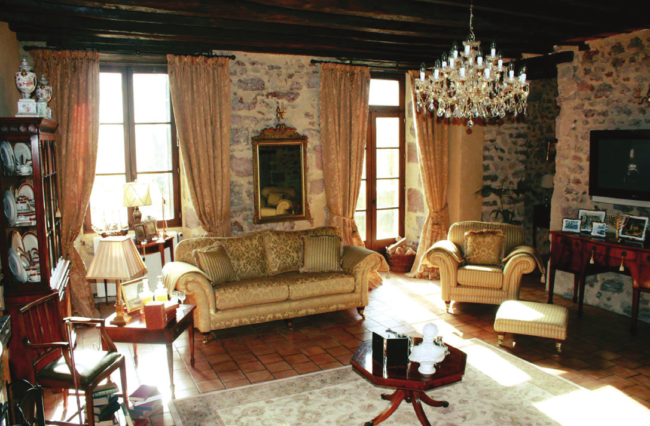 Situated on a hilltop, with 360° views over the Creuse countryside, and set within its own parkland, the Chateau du Masgelier dates from circa 1174. 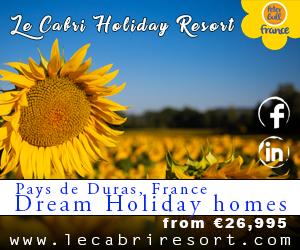 One of the oldest and most historic medieval castles in the Limousin, with a colourful history dating back to the Knights Templar, it was originally built as a hilltop defence castle and still retains its vast walled battlements. 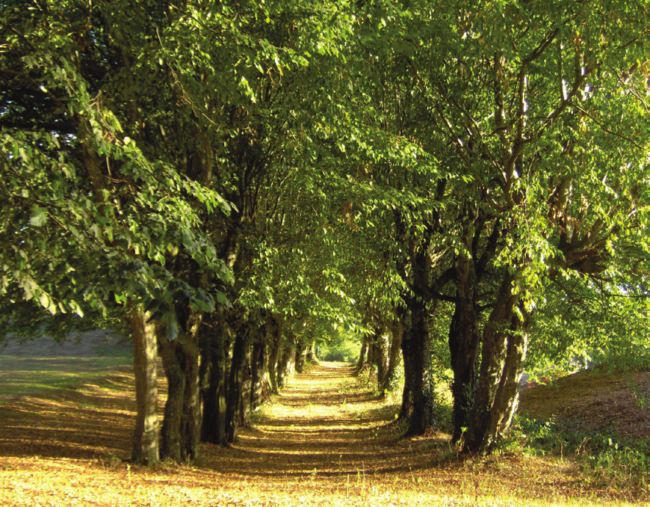 The approach to the castle is a long tree-lined avenue which was planted by the Marquis du Masgelier, Pierrre Charles Auguste De Brémond (1761-1816) in commemoration of the coronation of King Louis XIV. The south turret of the Château's tower is carved with the Fleur-de-Lis, in honour of the members of the French royal family who resided there over the centuries. There's also a crested shield and the initial 'B', signifying the name of Bremond, the chivalrous 11th-century family who are regarded as one of the south-west France's noblest. The Château was attacked during the French Revolution and the Marquis was captured, then imprisoned in the Citadelle de Brouage, along with his wife, the Marchoiness Angélique de La Loue. Happily after being put on trial, they narrowly avoided execution by guillotine and were allowed to return home. 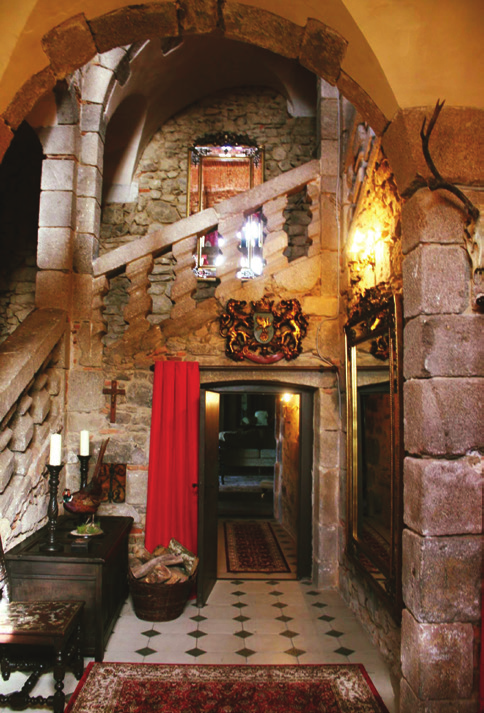 A stunning, three-storey Medieval staircase of granite forms the centrepiece of the Château, which was built upon dungeons, escape tunnels, and enormous vaulted cellar and a large kitchen. The main entrance to the Château is from the West terrace and its ground floor features four very large reception rooms, replete with ornate fireplaces, beamed ceilings, tall doors leading to the south veranda, stone walls and many further original features, including a separate, 17th-centruy spiral staircase, which was used by the servants. The Château has 13 bedrooms, situated on the second and third floors and the original servants' quarters are on the fourth level. On the South veranda, leading down to the lawn, is a grand centrepiece, in the form of a large stone horseshoe staircase which was carved circa 1874. 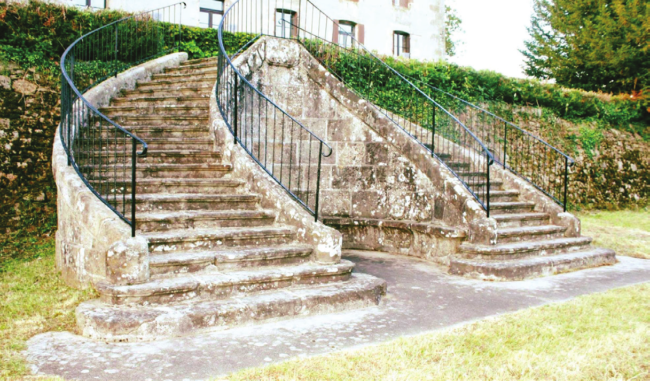 There's also a beautiful double stone staircase to the East of the Château leading to a separate chapel. The parkland features a fully renovated 17th-century, 14-bedroom coach house, La Maison du Gardien (The Guardian House), plus a barn, a manége for equestrian training and a stable yard. Most people have such romantic ideas when they hear the phrase 'French château' - after all, who doesn't dream of living in a castle or at least experiencing the fantasy. However, the practicalities of modern-day living in such a building should be seriously considered. The truth is that they're generally very cold and are virtually impossible to heat properly, always dusty with debris from the wooden beams and stone walls, damp and musky due to the elements and condensation, and generally every mouse and bat finds a way in through the thick stone walls and chimneys. Then there's the obvious cost of running a large building and the constant repairs, but if you have passion for and dedication to a building that's become your home, it's and exceptional way of life. 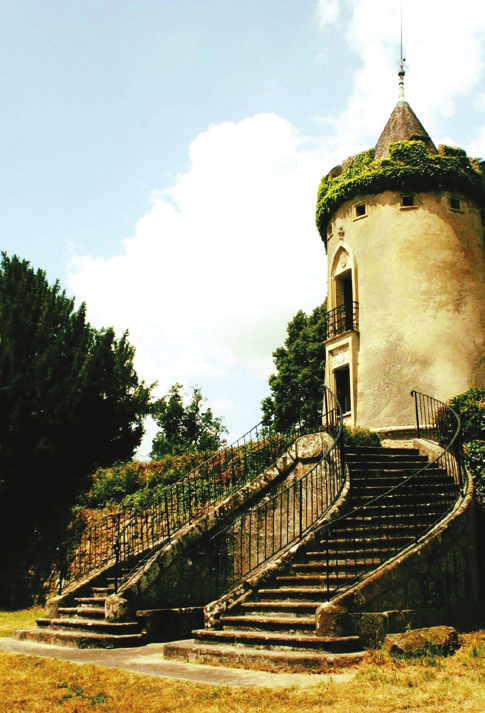 Before I moved to France, I took two years to consider the pros and cons of buying a château, using this period to make plans for a smooth and organised relocation. I knew that the next property I bought could only be a château but, personally, the timing had to be right to leave Britain. For me it seemed to be the next obvious challenge after completing my last restoration of a large country house in East Sussex. I spent those two years looking for a château and compiling a shortlist. 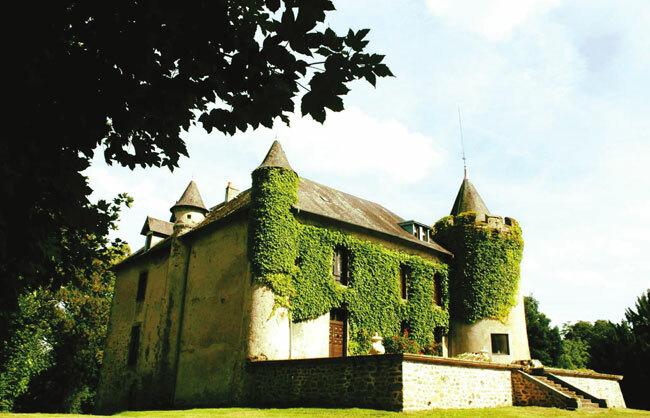 The Château du Masgelier was very poorly advertised and had already been on the market for two years. Somehow, I stumbled upon it by chance and it was exactly what I was searching for - a true Medieval castle. How could I possibly resist? I visited on two separate occasions, in the wintertime and the late spring. Over the years, it'd fallen in to such decline that only a huge programme of work could save it. Obviously, my head was saying "No! It's far too much work!" The Château had major problems with the electrics, burst pipes, the water supply and roof damage. There was also a lack of any original features, such as fireplaces, doors and stone floors. The Château was 'modernised' in the 1970's and thorough research would be needed to reinstate the original layout. However, I broke the property developer's golden rule, fell in love instantly, and allowed my heart full sway! After four years of hard work, many areas have been fully restored, including the house that sits on the surrounding parkland. La Maison du Gardien. The renovations have been completed with one eye firmly on the original Medieval architecture and the development of the Château over the centuries, and the other on the boundaries of what can actually be achieved. My main aim was to recreate, where possible, the original building but at the same time ensure that the rooms were beautifully tailored towards everyday living. The original fireplaces were replaced, providing a strong focal point for each reception room, but with so much stone, the rooms felt stark and cold, so they needed more colour. 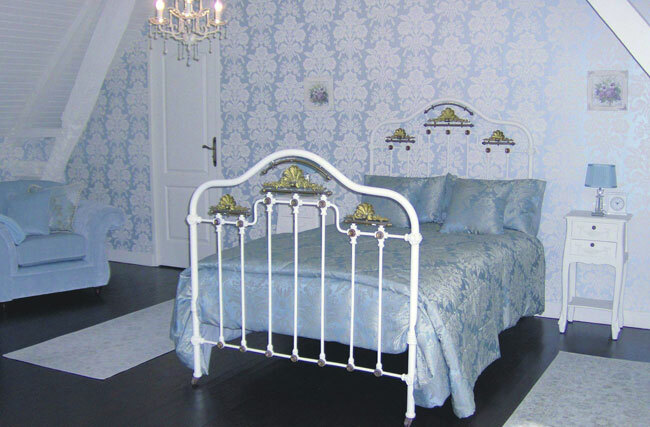 I achieved this through the use of textiles, period wallpapers, heavy curtains and, due to the rooms' huge proportions, lots of large-scale soft furnishings. All of the furniture was my own as I'd collected antiques for many decades. These had resided in many of my previous restoration projects and were brought over when I left Britain. To bring a warmth and homeliness to each room, I incorporated large Persian rugs, oil paintings, porcelain, silverware and other such items, including my collection of Italian, German and French chandeliers, which brought a softer feel to what could feel like a very masculine building. Over the past four years, I've grown to realise that when you take on a hugely ambitious restoration project, in addition to having a resolute approach, your heart is required. When the project seems too much, everything is going wrong and you feel that you can't go one, it's your heart that gives you the passion and strength to continue. Whenever I'm asked why I bout the Château, my reply is always the same: I didn't choose the Château du Masgelier, it chose me. It's important to set a clear budget and research your renovation costs. From the structural point of view, bear in mind that the costs of renovating a substantial historic property can be very significant - our agents advise that, on average, you should consider spending anything between €700 and €1,500 per square metre, the latter if it's a total rebuild. 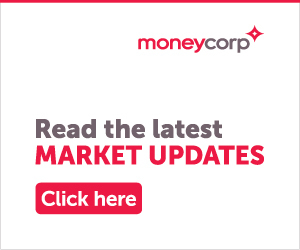 If the property's merely in need of internal modernisation and refurbishment - for example, kitchens, bathrooms and heating - you can generally reduce this figure by around 50%.